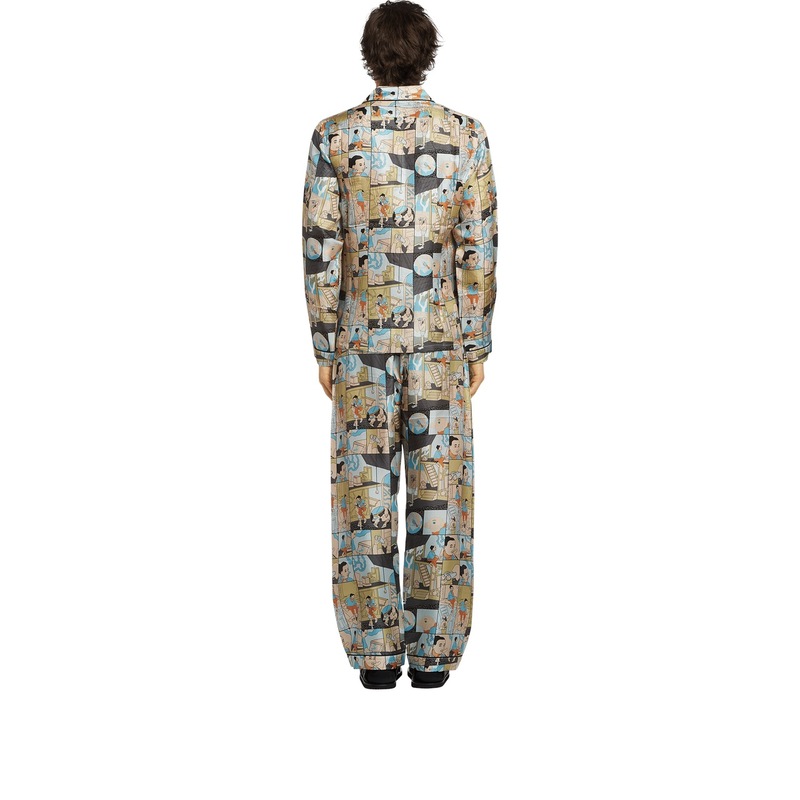 Add to Favourites Long silk pajamas with a Home motif. Long silk pajamas with a Home motif. 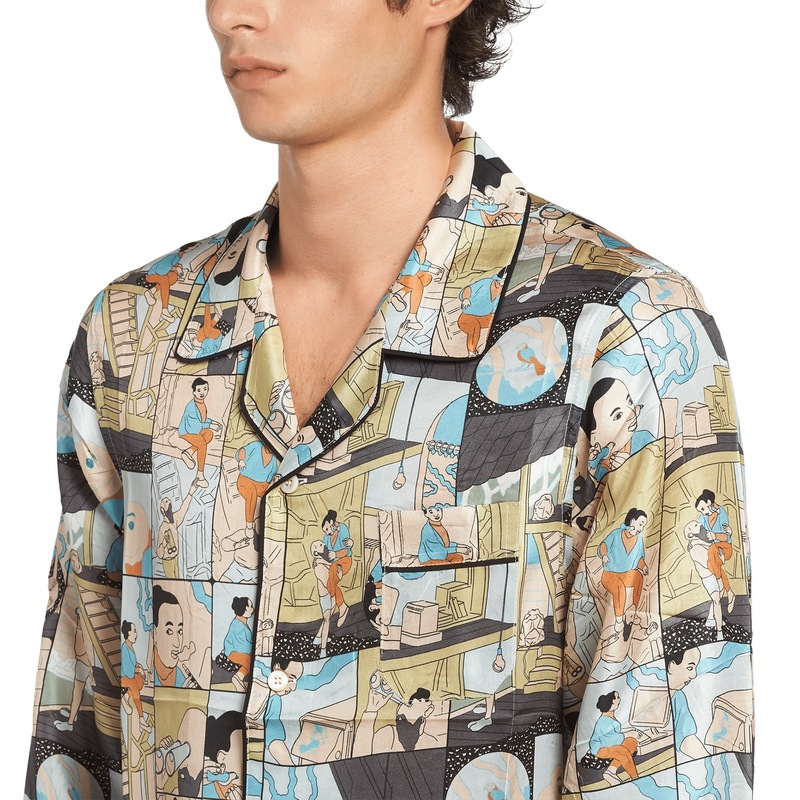 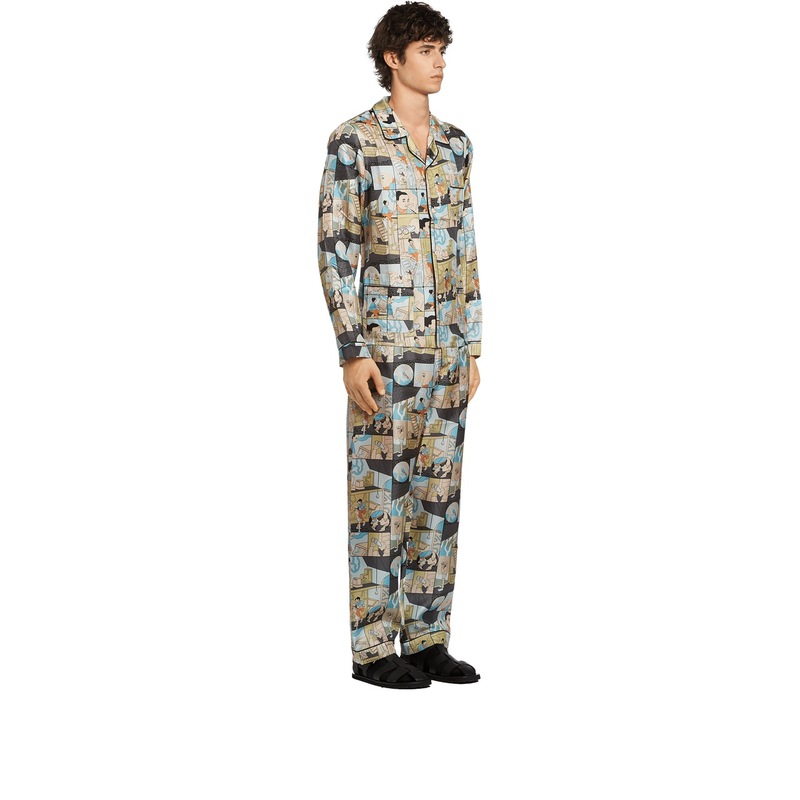 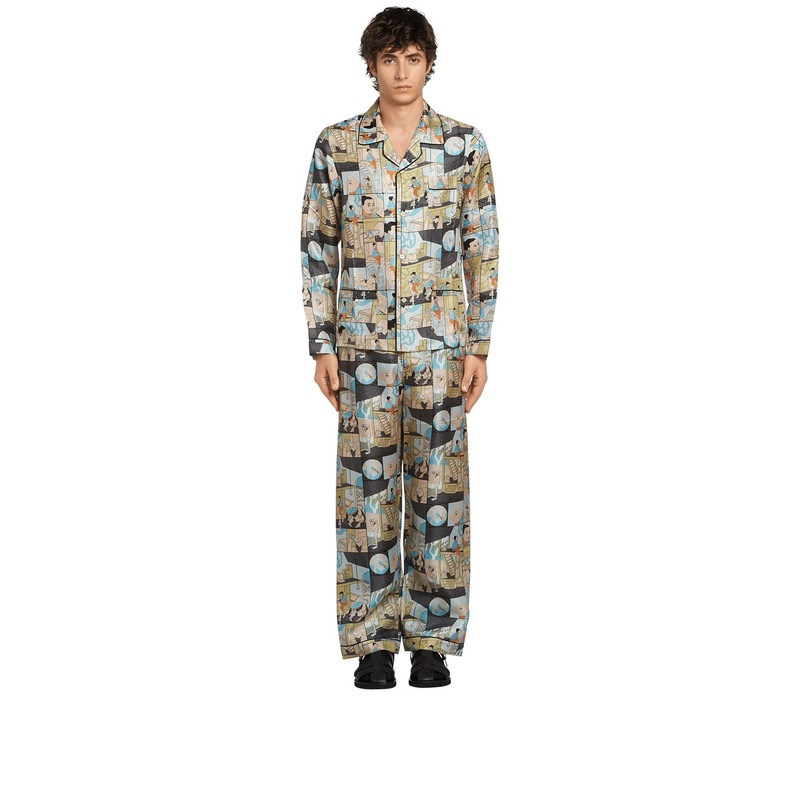 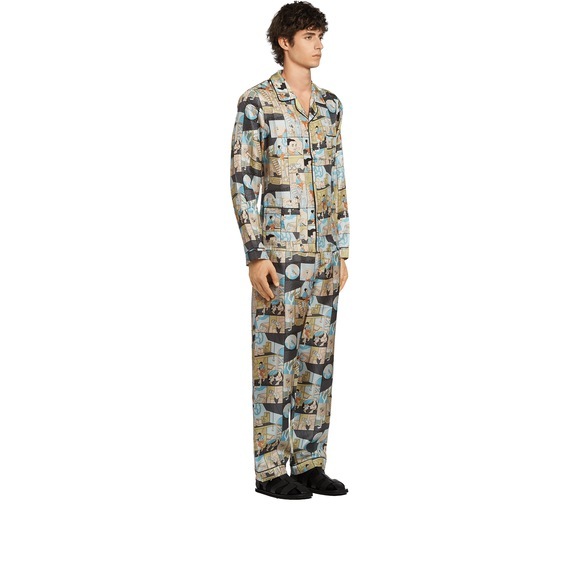 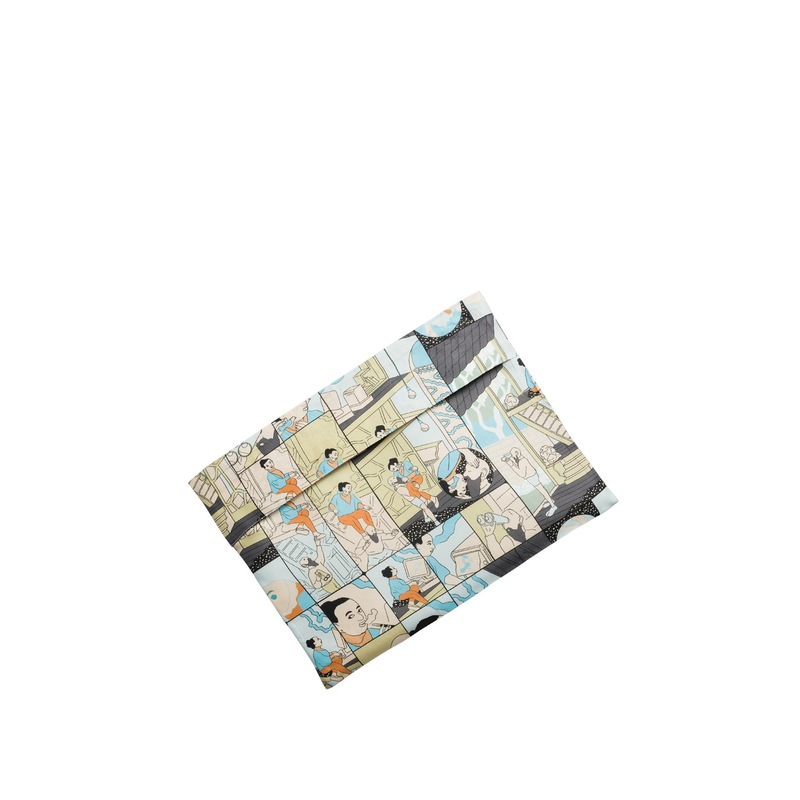 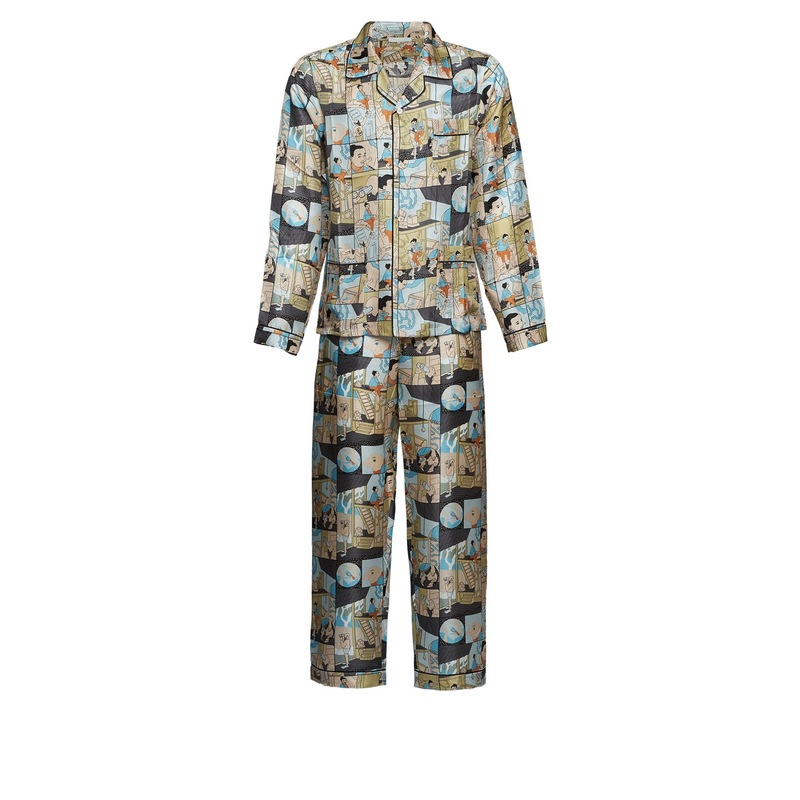 These elegant silk twill pajamas with a jacket with small front pockets and long pants with elasticized waist and button fly are defined by the "Home" comics print.